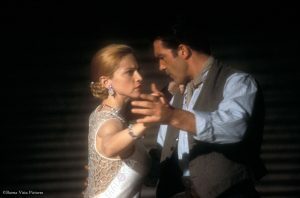 Set in Argentina between 1934 and 1952, Evita tells the story of a woman who would not let anything or anyone stop her from reaching the summit of power, becoming the mother of her country and receiving the adoration of the masses. Eva Duarte travels from her provincial home town, flitting from man to man, until she meets an aspiring politician, Colonel Juan Domingo Perón. They each realise that in the other they have found the perfect foil for their ambitions. 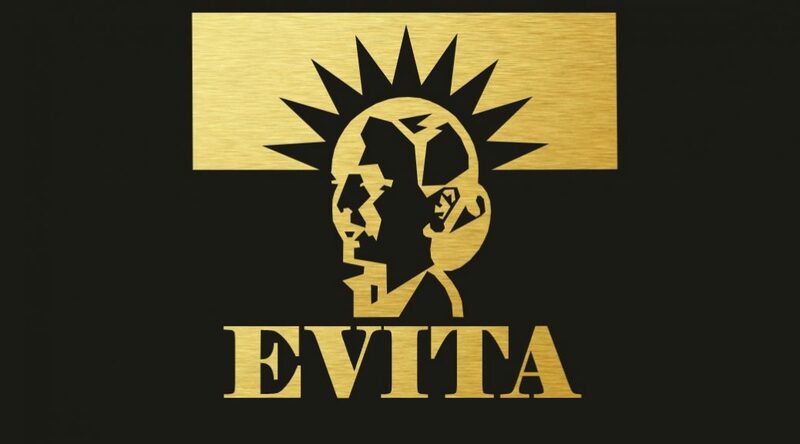 Evita, the third and final musical created by the pairing of Tim Rice and Andrew Lloyd Webber, began as a rock opera concept album released in 1976. Its success led to productions in London’s West End in 1978, winning the Laurence Olivier Award for Best Musical, and on Broadway a year later, where it was the first British musical to receive the Tony Award for Best Musical. This has been followed by a string of professional tours and worldwide productions and numerous cast albums, as well as a major 1996 film of the musical starring Madonna and Antonio Banderas. The musical was revived in London in 2006, and on Broadway in 2012, and toured the UK again in 2013–14 before running for 55 West End performances at the Dominion Theatre in September–October 2014. Almost entirely sung-through, Evita includes the hits singles ‘Don’t Cry For Me, Argentina’, ‘Oh What A Circus’, and ‘Another Suitcase In Another Hall’, along with great tunes such as ‘High-Flying Adored’, ‘Rainbow High’, and ‘On This Night Of A Thousand Stars’.